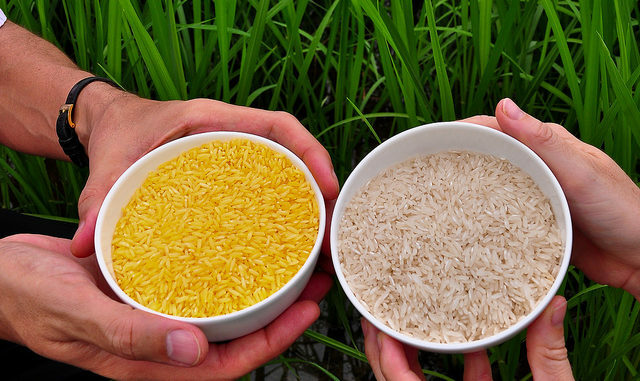 Golden Rice grain compared to white rice grain in screenhouse of Golden Rice plants. Last week, the print and electronic media in Nigeria were awash again with a major propaganda news item on Genetically Modified Foods. This time, a false alarm was raised by unidentified sources that Dangote and Nigerian government have flooded Nigerian market with GMO rice. The news item was followed with a warning that ”eating GMO rice is as bad as eating rice laced with rat poison popularly known as sniper in Nigeria”. The news item was clearly the handiwork of uninformed groups and persons who have consistently been waging war against the policy of the Federal Government of Nigeria in joining many forward-looking countries of the world to fight poverty and hunger through modern Biotechnology. The propaganda is bound to fail because it is a product of falsehood and the National Biosafety Management Agency in Nigeria has reacted by unequivocally debunking the fake news. This article is meant to lead readers to have a deeper insight on the issues at stake and the inherent falsehood in the raging propaganda. The controversial commodity is called Golden Rice (GR). The idea behind Golden Rice is to improve the food that people have access to or can grow themselves. The intention of using rice as a vehicle to address micronutrient deficiencies dates at least to the early 1980s. The idea emerged within the Consultative Group on International Agricultural Research (CGIAR) system and led to the conventional breeding efforts to increase iron and zinc in rice in the 1990s. In 1982, from David Dawe of Food and Agriculture Organization (FAO) case study, researchers in Indonesia found that child mortality is reduced by 30% by distributing vitamin A supplement in poor villages. With support from the Rockefeller Foundation (RF) in the 1990s, Professor Ingo Potrykus at the Swiss Federal Institute of Technology and Peter Beyer at the University of Freiburg, Germany collaborated to the creation of vitamin A fortified rice. 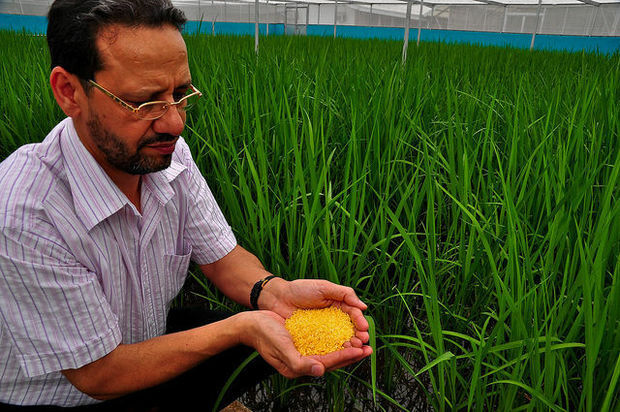 In 2000, after years of research, these scientists successfully produced the first strain of golden rice, using daffodils genes and bacteria. This genetically modified rice that contains beta-carotene is widely referred to as Golden Rice (GR). Subsequent research by Syngentia has utilized cereal genes rather than daffodil genes to generate much higher levels of beta-carotene in so-called GR2 Lines (Paine et al., 2005). In these lines, the enzymatic activities in the genes found within maize or rice is utilized to produce much higher levels of beta-carotene in the rice grain which are 20 times higher than the original line. In September, 2004, the first GR field trial in the world was harvested in Crowley Louisiana, USA. It took several years before GR could be planted in an open field. This delay was because the target countries, with high rice consumption and high vitamin A deficit did not have biosafety regulations in place. This is a necessary condition attached to the agreement with GR licensees that no field releases may take place in the absence of a national regulatory framework. As at 2013, Philippines has completed its multi-location field trials and is in the process of feed testing. The International Rice Research Institute and the Philippines Rice Research Institute are working to commercialize this GR this 2016. Golden Rice is genetically modified to provide beta-carotene in the rice grain and it could potentially address widespread vitamin A deficiency in poor countries were rice is a staple. Very significantly, GR improves vitamin A status so that it could become a solution to address vitamin A supplementation, the promotion of breastfeeding, nutrition education, homestead food production and food fortification. In 2012, a study by Tang et al, found that 100-150g of cooked GR provides 60% of the Chinese recommended intake of vitamin A. Creating rice with beta-carotene content was not possible until the advent of biotechnology. Much of the current funding for development comes from various foundations and institutions including United State Agency for International Development (USAID) and Monsanto. The polished rice grain does not contain beta-carotene, a vitamin A precursor, which the body converts into vitamin A. In low-Income populations were rice is the primary staple, several micronutrient deficiencies are chronic problems including Vitamin A Deficiency (VAD) which is often a problem where rice gruel is used as a weaning food. Such deficiencies are particularly pronounced in children who need greater nutrient density in food to meet their high nutrient needs. VAD is responsible for 500,000 cases of irreversible blindness and up to 2 million deaths each year and this was referred to as “Nutritional Holocaust”. Particularly susceptible are pregnant women and children. 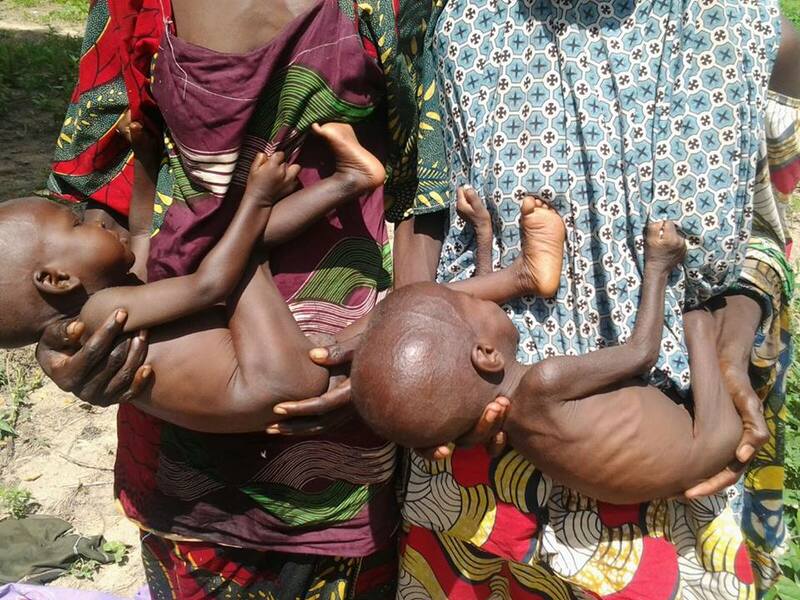 Across the globe, estimated 19 million pregnant women and 190 million children suffer from the condition. The good news however is that dietary supplementation of vitamin A can eliminate VAD. While the link between VAD and blindness captures public attention, VAD is widely recognized as a globally significant problem. The United Nations Children’s Fund (UNICEF) (2004, p.4) estimates that “Vitamin A Deficiency is compromising the immune systems of approximately 40% of the developing world’s under-fives and leading to the deaths of an estimated one million young children each year”. This situation unfortunately has not changed over the past decades. i). That GM foods are inherently unsafe to human health and the environment. GR poses risks of these kinds and thus will not achieve its humanitarian goals. ii).That rice is directly consumed by the poor, and thus the poor would be “guinea pigs” for any human health impacts. Either GR will not provide enough vitamin A to do any good or will provide too much, resulting in vitamin A toxicity. iii). That GR is part of the continued use of “Green Revolution” technologies that are unsustainable and harmful to the poor. Those opposed to GM technology allegedly for ethical, environmental or health concerns seem to have felt that this represented a commercial conspiracy to win over the public. They wanted to debunk this technology because of perceived diversion of attention from potential negative impacts to positive impacts. It is unfortunate that this scientific breakthrough generated so much attention when it remained fairly far from implementation. The suspicion often caused by the anti-globalization activists against GMO crops (but not GMO processed foods like cheese and beer or medical applications like insulin and many new drugs) paradoxically reinforced an “environmentally justified” set of regulatory hurdles which only large companies can afford. As such, they end up shooting themselves at the foot while the farmers and consumers who would benefit from those crops are collateral victims as there seems to be no scientific justifications for these high regulatory costs. He further stated that “It will suffice you to know that there is no GM rice that has been commercially released anywhere in the world. It should also be recalled that government has banned the importation of rice in Nigeria. This ban was widely publicized in the media and there are no indications that the ban has been lifted.” The DG therefore enjoined Nigerians to disregard the post and join hands with the agency in its quest to ensure safety in the practice of modern biotechnology in Nigeria in line with global best practices. GR has the potential to reach the important sub-populations that have not been targeted by current interventions in parts where rice is the predominant staple and weaning food. Several studies are currently trying to assess the potential benefit of GR using different economic methods and building their analysis on some strong assumptions about nutritional benefits. Because GR is still so far from actual production and consumption, little is known about bioavailability, losses in storage or cooking or many other factors that would influence the actual delivery of vitamin A. These studies are beginning and will help define the deployment options of the product. It is instructive to note also that the pro GMO advocacy has been growing from strength to strength globally. This summer, 110 Nobel Laureates signed a letter urging Greenpeace to end its efforts to stop GR from coming into the market. 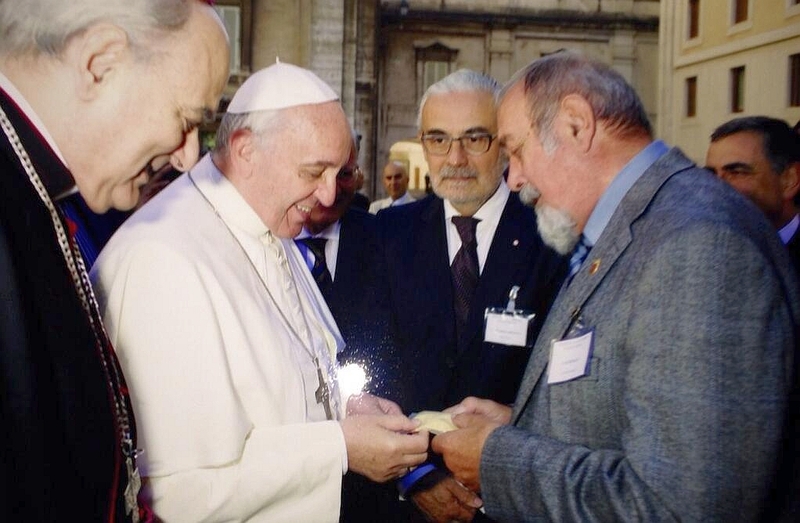 Earlier, on November 7, 2013, Pope Francis also gave his personal blessing to GR.